Thank you for making 2018 our biggest year ever raising money to benefit Sparrow's Nest. With your amazing support, we raised $45,000 and reached a new milestone of $125,000 over the past four years! Bayhorse donated $1,000 to Sparrow's Nest from the sale of each garage, up to our target sponsorship of $25,000 for 2018! If you need a new garage or know someone who does, please give us a call and help us to support Sparrow's Nest! 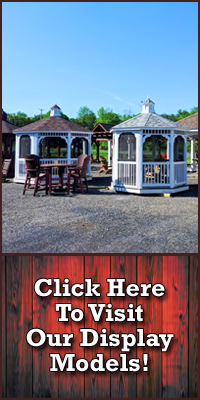 A big unveil from Bayhorse Gazebos & Barns and the Thorpe family. Bayhorse Gazebos & Barns is proud to sponsor Sparrow’s Nest, because every caregiver’s nest should be protected. Sparrow's Nest prepares and delivers homemade meals every Tuesday to caregivers in the area. One of Sparrow's Nest's primary goals is to help caregivers take care of their children as they fight this debilitating disease. The rewards are two-fold. The meals not only help take some of the burden away from everyday responsibilities, but also provide some financial relief. Funding is needed for the cost of food for the families. We are very proud of this new Sparrow's Nest Community PSA video, produced by Talex Media LLC and supported by Bayhorse Gazebos & Barns and Cleveland Plumbing and Heating Inc.
You can also show your Sparrow's Nest team spirit with our fundraiser Sport Towels. These 11" by 18" sport towels are Kelly Green with a White Sparrow's Nest logo, 100% cotton terry cloth and fully hemmed for a clean look. 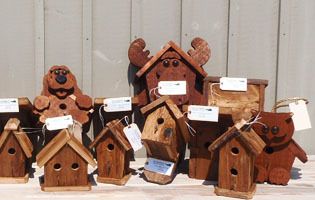 All proceeds from the sale of our bird houses and mailboxes also go to Sparrow's Nest to help provide meals to the families of caregivers with cancer. Sparrow’s Nest is a 501(c)(3) charity established in 2012. 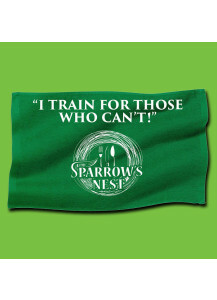 Show your Sparrow's Nest team spirit with our fundraiser Sport Towels. These 11" by 18" sport towels are 100% cotton terry cloth and fully hemmed for a clean look. Order yours today, select free local pickup and then stop by to see us and pick up your sport towel. All proceeds from the sale of our sport towels go to Sparrow's Nest to help provide meals to the families of caregivers with cancer. Learn more about Sparrow's Nest.